We’re excited to announce the launch of our 2019 Business Of Wellness Trends Report; exploring the eight key trends impacting wellness businesses and industry leaders, now and in the future. 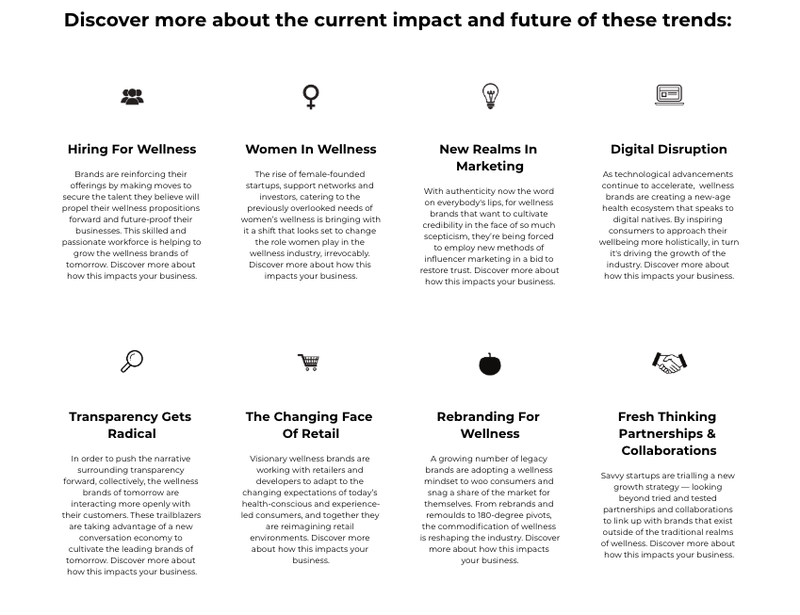 Compiled by trend experts, with support from Welltodo’s network of thought-leaders, industry veterans, disruptors and innovators, the 2019 Business Of Wellness Trends Report presents Welltodo’s unique perspective on the themes driving this fast-growing market. And sheds light on how your business can navigate these industry-wide trends to future-proof your brand. Uncovering and interpreting insights such as how forward-thinking wellness brands are making moves to secure the talent they believe will propel their wellness propositions forward, and why in an attempt to cultivate authenticity and create real human connections, innovative brands are looking beyond token collaborations and working more strategically with credible influencers, this invaluable resource will unlock innovation and empower you to better understand the rapidly evolving wellness industry landscape. In addition, by highlighting how the industry’s trailblazers are taking advantage of a new conversation economy to effectively communicate their commitment to transparency. And, which technological advancements are helping to create a new-age health ecosystem, this report will give you the confidence to implement new and innovative business strategies and arm you with the tools needed to resonate more deeply with the consumers of tomorrow – both keys to longevity in this dynamic marketplace. And uncover new ways of thinking that enable you to stay ahead in what is now a multi-trillion dollar industry. 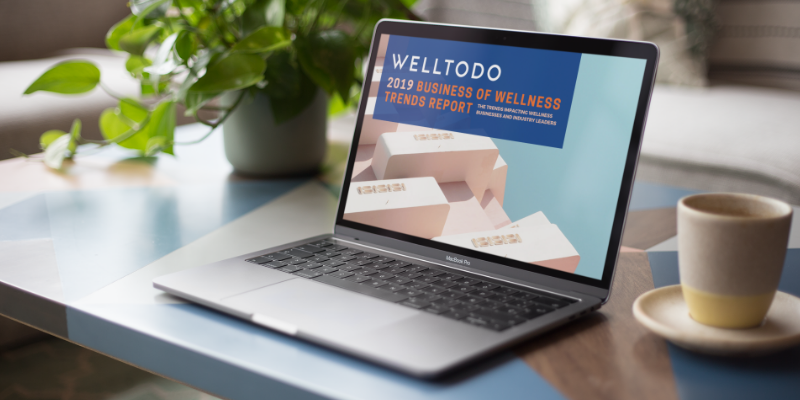 Purchase your copy of Welltodo’s 2019 Business Of Wellness Trends Report here.